Lindy on Track is closer and closer! Time for a short information about our parties. 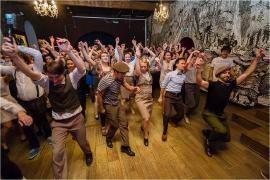 This year during the parties 3 amazing jazz bands will play for us: Leliwa Jazz Band (Poland), Lazy Swingers Band (Poland) and Heart of Dixie (Czech Republic). ou can read more about them here. Hi! 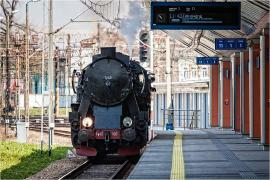 In this year, our swing vintage train ride to Zakopane will start from the Main Station in Cracow. During the entire journey in the dance car we will have with us Lazy Swingers Band, playing the best swing bits. We can't wait!